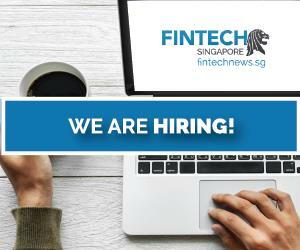 Home to over 200 banks whose total assets are estimated to be worth over S$2 trillion, Singapore is a leading international financial center and a serious contender for the global number one spot in fintech. Government support for fintech is strong with S$225 million committed to the development of fintech projects and proofs-of-concept. 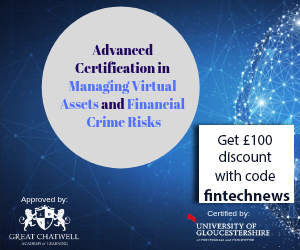 Other initiatives include the regulatory sandbox, Cloud Computing Guidelines, Strategic Electronic Payments, the Fintech Office and the MAS Innovation Lab. Most recently, the Makara Innovation Fund announced a S$1 billion fund to help innovative companies develop their businesses and expand overseas. A collaboration between the Intellectual Property Office of Singapore (IPOS) and local private equity firm Makara Capital, the Makara Innovation Fund will invest between S$30 and S$150 million in 10 to 15 companies with “globally competitive technologies” and “strong intellectual property” over the next eight years. In addition to supporting the domestic startup scene, the Singapore government too is experimenting with cutting-edge technology and innovative solutions. News broke today that the Smart Nation and Digital Government Office (SNDGO) and Government Technology (GovTech), in collaboration with the Monetary Authority of Singapore (MAS), have begun a pilot with four banks of a new digital onboarding service. By using the government’s MyInfo service, the initiative aims to simplify online banking transactions and client onboarding. 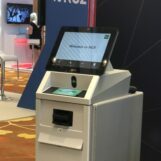 Under the pilot, prospective customers of United Overseas Bank (UOB), Development Bank of Singapore (DBS), Oversea-Chinese Banking Corporation (OCBC) and Standard Chartered Bank (StanChart) can apply for a new bank account without the need to submit copies of their identity, income and CPF. The rise of fintech in Singapore promises to help keep the financial sector competitive and strengthen the city-state’s position as a leading financial center. 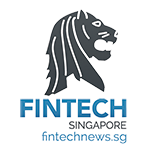 Singapore’s burgeoning fintech sector is changing rapidly. Today, we look at some of the key news and recent developments in Singapore’s fintech industry. Singapore Life has raised US$50 million in what is reported as being the largest Series A funding round raised by an insurtech startup in Singapore. Investors included HKEx-listed Credit China Fintech and UK-based investment firm IPGL. The company told e27 that it will use the money to support growth. Singapore Life intends to provide state-of-the-art, long-term life and savings solutions for customers. The company said it was unable to share further details about its product, and was currently awaiting approval from authorities. tryb capital, a private equity firm based in Singapore focusing on fintech ventures, has invested US$4 million in Chinsay, a Stockholm-based fintech and logistics startup. The capital injection will be used to fund product development and fuel Chinsay’s expansion plans into Asian markets, the company said. Chinsay has developed a cloud-based platform for end-to-end administration of global commodity and freight contracts. OOjiBO, a startup targeting the unbanked, has raised US$3.6 million in a Pre-Series A funding round led by Centurion Private Equity. The company said that the money will be used to launch its service into new markets in Southeast Asia: Thailand and Indonesia. OOjiBO has developed a solution that works as a full stack retail banking system on a mobile phone, enabling peer-to-peer transfers, retail payments, interest bearing accounts, e-commerce payments, cross-border remittances and mobile phone top-ups, among other services. soCash, a company that aims to disrupt that supply chain of cash, has raised US$600,000 in seed funding from angel investors, including veteran bankers and technologists. soCash was recently granted the Financial Sector Technology and Innovation (FSTI) Proof-of-Concepts Scheme from MAS. soCash allows small businesses to join a network of “Cashpoints,” locations where people can withdrawal cash after having placed an order via its mobile app. Policypal, an insurtech startup, and Connaizen, a company providing targeted marketing solutions to merchants through collaborations with financial institutions, have both recently raised undisclosed amounts of seed funding. Policypal operates an artificial intelligence driven insurance app that lets users buy and manage all their policies in one place. The company was recently accepted into MAS’ regulatory sandbox. Singapore-based startup FinMomenta has announced the launch of Tachyloans, an integrated digital lending platform in India for individuals and businesses. The platform directly connects lenders with borrowers and passes on the savings to the lenders in the form of high returns and the borrowers in the form of low interest rates. 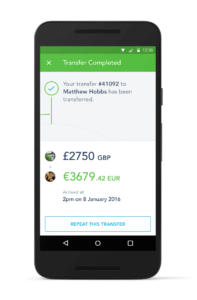 TransferWise, Europe’s leading money transfer service, has begun serving the Singaporean market. The company has chosen Singapore as its Asia Pacific (APAC) hub and plans to have a team of 30 employees by the end of 2017. TransferWise is a peer-to-peer money transfer service launched in January 2011. It provides a cheaper and more efficient alternative to the banks and traditional money transfer providers. OCBC Bank has launched Singapore’s first home and renovation loan artificial intelligence-powered chat bot. Called Emma, the service provides potential home buyers and current home owners with a convenient, fast and accurate “always-on” digital channel to their questions addressed. Finty has launched a new rewards-based financial marketplace in Singapore. The service rewards customers for online financial purchases by consolidating solutions for a fuss-free shopping experience. Currently, Finty offers rewards up front and consolidates various credit cards from OCBC, HSBC, American Express, Citibank and Standard Chartered, among others. DeClout, a global builder of cloud, data centers, e-commerce and marketplace companies, has launched a new incubator program with support from SPRING Singapore’s Startup SG Accelerator scheme. The incubation program will groom high growth local startups from Information and Communication Technology sectors including fintech, cybersecurity, data analytics and smart logistics. The program will leverage DeClout’s business network, domain expertise as well as industry knowledge and know-how to create a next-generation business accelerator. Startupbootcamp Fintech, an acceleration program, has announced the 12 international startups joining its Singapore 2017 cohort. These include Jumper.ai, Morakot Technology, CherryPay and Smartfolios. The startups are currently undergoing a three-month program designed to help them scale their businesses and connect with potential partners. Visa has partnered with local schools and the Singapore Fintech Association to nurture future talent through a series of engagements with students from the five polytechnics in Singapore. The joint initiative aims to build a steady pipeline of talent in the fintech space to cope with demand and provide a gateway for students to make their first foray into the industry. The National University of Singapore (NUS) School of Computing and the IBM Center for Blockchain Innovation (ICBI) have recently announced that they are collaborating to jointly develop a training module on fintech. The new module is expected to be introduced in January 2018 and will focus on blockchain and distributed ledger technologies. It aims to equip students with an understanding of the fundamentals of these emerging, cutting-edge technologies. Singapore’s Nanyang Technological University (NTU) has recently announced an investment of S$8 million in a new research center focused on big data analytics and artificial intelligence. The new center is expected to have 60 scientists and researchers. It has already signed partnerships with top international firms including PayPal and NVIDIA, an artificial intelligence computing company. NTU students will have the opportunity to work closely with PayPal on research topics related to fintech and payment innovation. Featured image: Singapore via Unsplash.